Southern Arbor Services did tree work for us. We were very pleased with the job they did. They were professional and attentive to our needs, the grounds look beautiful. 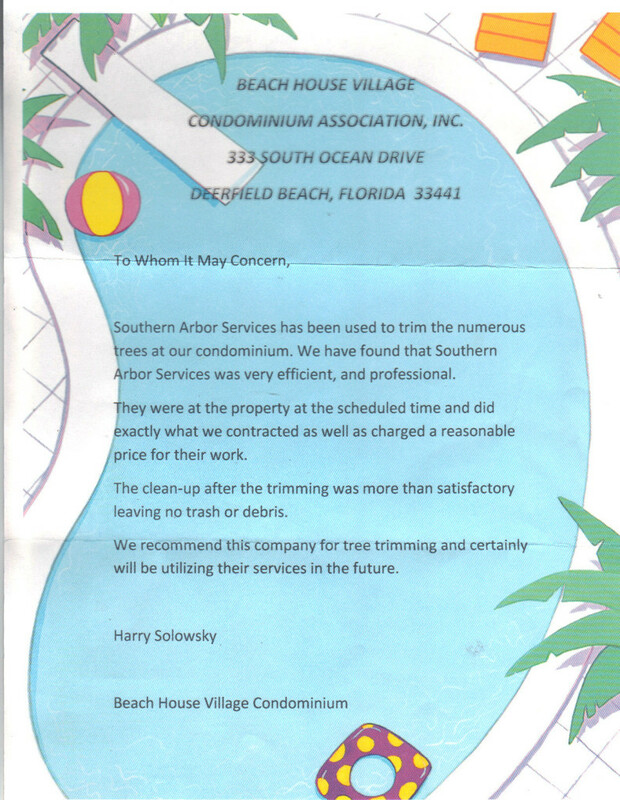 We would recommend Southern Arbor Services. I want to pass on my sincere appreciation for the superior job you and your team did. 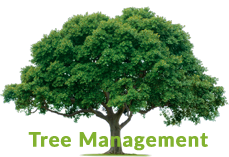 The removal of such a large tree bordered by 3 homes was done professionally, safely and at a very competitive cost. Upon accepting the job, your efforts were timely and completed well within expectations. Every complication was met with expert solutions. The completion was topped with beautiful replacement trees. 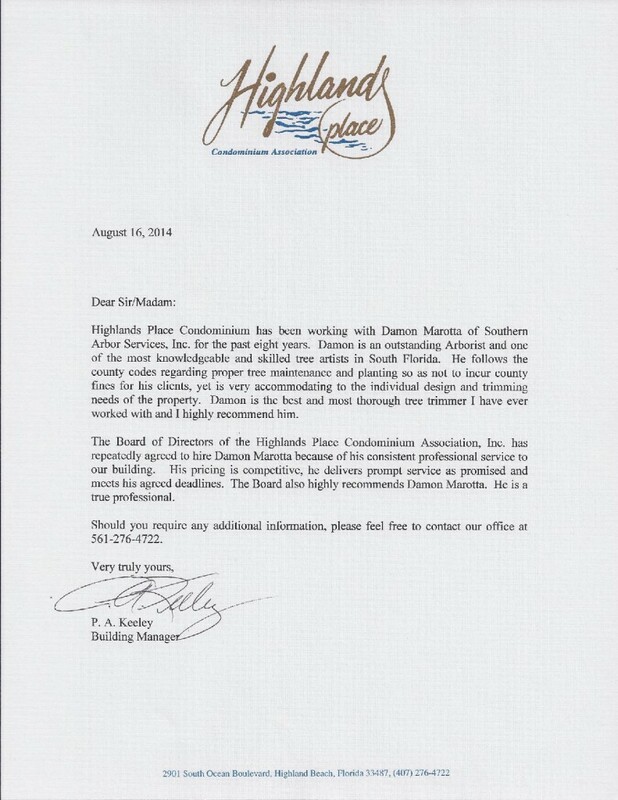 Please accept our thanks for the work performed. We feel much safer and prepared in the event of high winds or worse a hurricane with that huge tree removed. You and your team cared for me and my neighbor’s property like it was your own and for that I say thanks. I will pass on your contact info with my praises to our community.